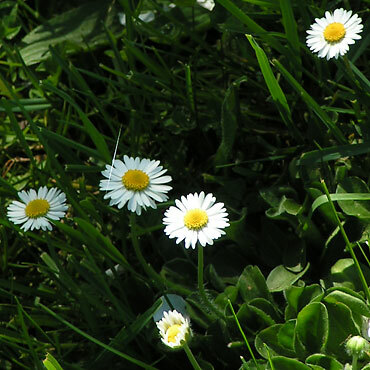 At easter in Europe is blooming a dainty small flower : the lawn daisy. It looks like its great sister, the oxeye daisy, with the difference that the color at the sharp of its petals varies from pink to purplish. Flowering every time of year but abunding in april, it announces the return of spring ang can easily keep the latues company in ones garden.. It is also called common or English daisy. You can eat the flowers or make infusions with them. It's got medicinal properties. Indeed, it is used to ease inflammations. Also used in Homoeopathy, it enters in the composition of medicines close to arnica. 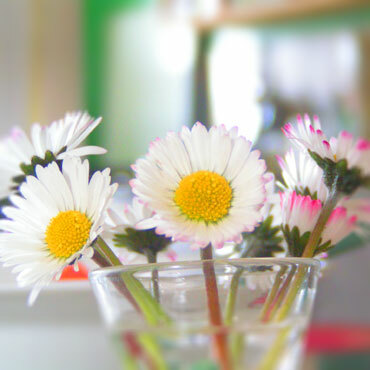 What's amazing is that the name "Daisy", coming from the experssion "Day's eye", is, due to the french translation of "oxeye daisy": Marguerite, a Nicname for Margaret. 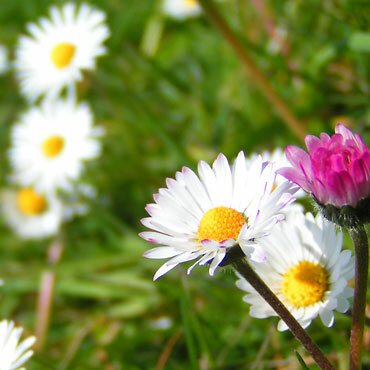 The lawn daisy is one of the most delightful spring flowers.